Home MMA News Frank Mir Silences WWE Trolls, Says Bruce Lee’s Fights Were Staged! After ending his UFC career in July 2017, Frank Mir competed in Bellator MMA, where he earned the score of 0-2, with losses to Fedor Emelianenko and Javy Ayala. The former UFC Heavyweight champion is set for WWE debut on Thursday, April 4th, under Josh Barnett’s “Bloodsport” banner. But most of the combat sports fans are furious because of Mir’s decision to take part in “fake fights”. 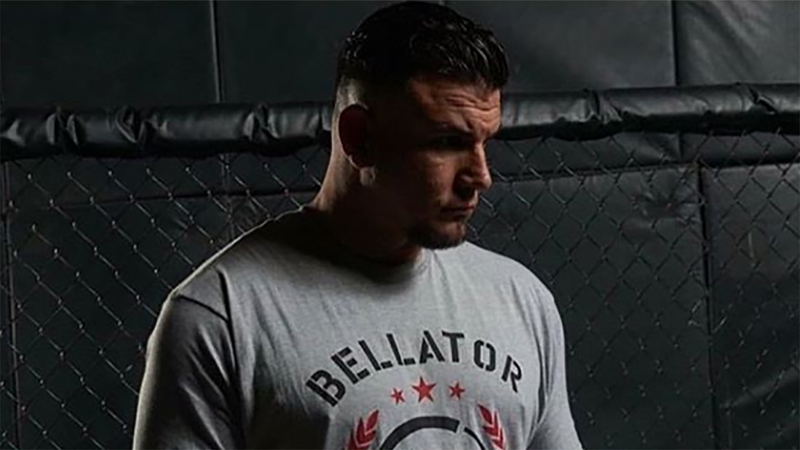 Frank Mir (18-13 MMA, 16-11 UFC) also took part in two fights versus the former UFC 265-pound title holder and the current WWE Universal champion Brock Lesnar. In their first match, Mir defeated “The Conqueror” at UFC 81 on February 2, 2008, via kneebar. Lesnar avenged the loss at UFC 100 on July 11, 2009, where he earned a second-round TKO win. It seems Mir is still interested in the third match against Brock, even in the squared ring. Do you agree with Frank Mir’s comments? Javy Ayala Defeats Frank Mir Via Submission (Strikes)!